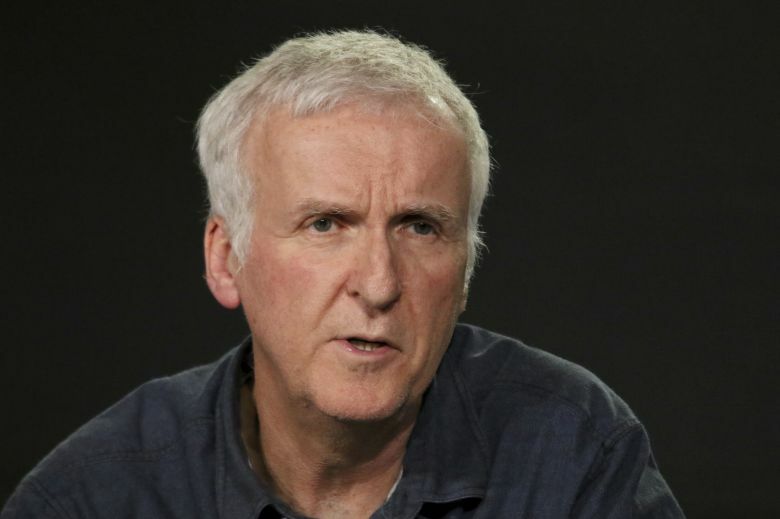 Apparently James Cameron recently said in an interview how he thought the, "Aquaman," movie was, "Great fun," but also had a bunch of observations delivered in a vaguely passive-aggressive manner about how it required too big a suspension of disbelief because, "I could have never made that film because it requires this total dreamlike disconnect from any sense of physics or reality. It exists somewhere between a Greek mythic landscape and a fairy tale landscape. And people just kind of zoom around underwater because … they propel themselves mentally? I guess?" Oh hush, James Cameron. You've made movies about Aliens (verbatim, "Aliens,") whose reproductive cycle was already confusing before you introduced the idea of a Queen Xenomorph to muddy things further. You made the visually-stunning but repulsively dull, "Avatar," with some of the silliest plot concepts ever (you literally named a hard-to-acquire resource, "Unobtainium," after all). I think I know why you're even stirring the pot like this too, and it isn't just to express your thoughts. The upcoming movie, "Alita: Battle Angel," which you executive-produced draws from a manga about a robot-girl with weirdly big eyes (so very realistic). Also, I think you know full well it is probably going to bomb hard on a film-packed Valentine's Weekend, so you're trying to get some press by saying something outlandish. Seriously, as Edward Douglas over at Comicsbeat observed about this movie it appears it,"...is going to be seen as one of the year’s biggest bombs regardless of how well or poorly it does, because it cost somewhere between $150 and 200 million to make...and it’s not likely to make more than $25 or 26 million in its first five and a half days even with the higher 3D ticket prices. (Fortunately, it’s already made $32 million overseas)." With box-office predictions like that, you probably figure you've got nothing to lose attempting to get some media attention for dissing the ocean-dwelling hero, am I right? "Now this here looks realistic!" You don't make especially realistic movies outside of your documentaries, Mr. Cameron, so please don't be so silly as to think we take you seriously when you say the movie is lacking in quality as it, "...doesn’t help us with our issues of actually understanding the ocean and exploring the ocean and preserving the ocean — though they did throw in a couple things like whales and things like that to remind us we are using the ocean as a garbage dump, so I applaud the film for that. Yeah, I couldn’t have made that movie." I see through you and how you're trying to get some press because nobody cares about the release of, "Alita," which I feel sad about--not because you worked on it as an executive-producer, but because the Director is Robert Rodriguez and he seems like a cool guy (who has made some fun films I like a decent amount too). I haven't seen, "Aquaman," yet but plan to as it looks like good fun, realistic or not. I have basically no desire to see, "Alita: Battle Angel," however unless I can stream it for free in a few months because it frankly looks underwhelming in terms of quality and overwhelming in terms of overdone special effects. Nobody cares if you actually have issues with the realism of, "Aquman," or just want to cause a ruckus, Mr. Cameron, least of all the flick's fans or Warner Brothers (which is just happy to have a hit DC movie besides, "Wonder Woman," I'd bet). You're more than welcome to your opinion, but if you're just stating this particular one in the hopes it'll drum-up some attention for your bomb of a movie, then stop such shenanigans and instead go back to focusing on your not-at-all-eagerly-awaited sequels to, "Avatar."